We all want to be that company that knows our customers by heart. Unfortunately, sometimes it can be difficult to remember everything about everyone! If you are using our built in gift and loyalty system, you can get SP-1 by SelbySoft to help you! It starts with the gift card because that gives you a reasonable reason to ask for a customers name, address, phone, email or anything else you want to track. Not interested in the marketing features? Not a problem, simply collect only the customers name. Once you have this, you can assign their gift card to their name in SP-1. 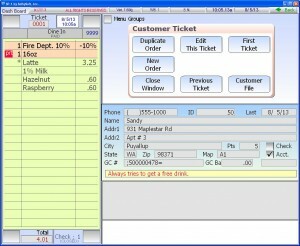 In SP-1, you can now simply type the customers name or swipe their gift card and SP-1 will pull up their last order. Along with the order, you will have buttons to duplicate their last order and even custom notes about that customer! 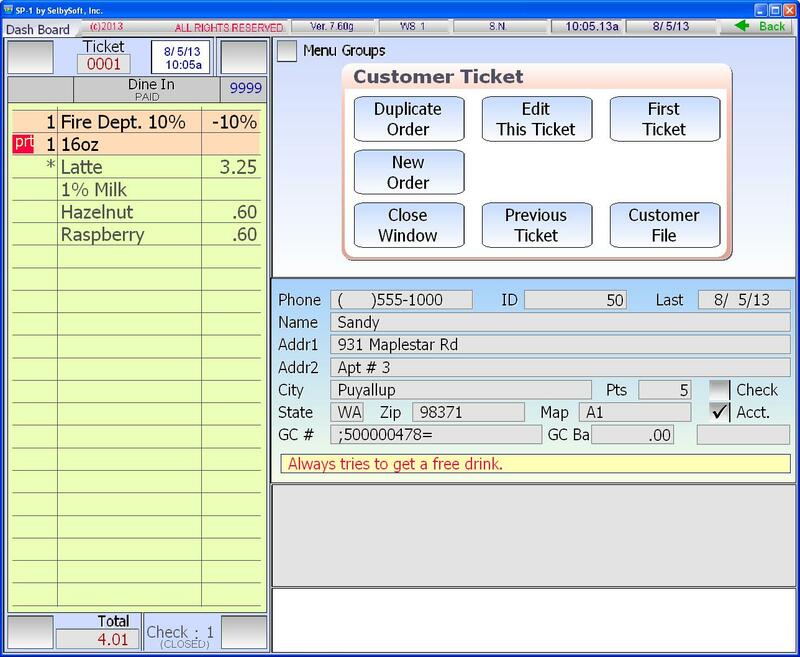 This makes it very easy for your employees to comment on the last order the customer had.